Cloud Resource Scheduling runs on any devise and such allows smooth communication between Project Team Members and Resource Managers. Get a complete overview about who works were and who becomes available for new tasks. Interactive Gantt chart allows you then manage assignment and conflicts. 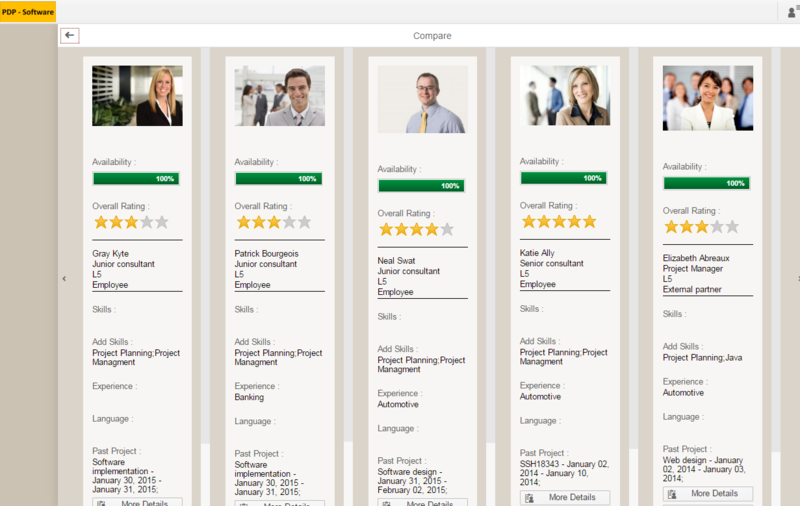 Search and match allows you to find the best resources for your project considering skills, availability, and cost. Project Team Leads can define their resource needs. 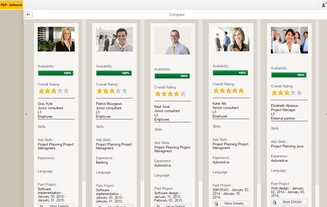 Search and compare allows you to find the best resources for your project considering skill match and availability. Utilization reporting provides you with the understanding of your current and forecasted resource demand. It allows you to set your HR agenda in terms of training needs, hiring decisions and defining a healthy mix between internal and external resources. 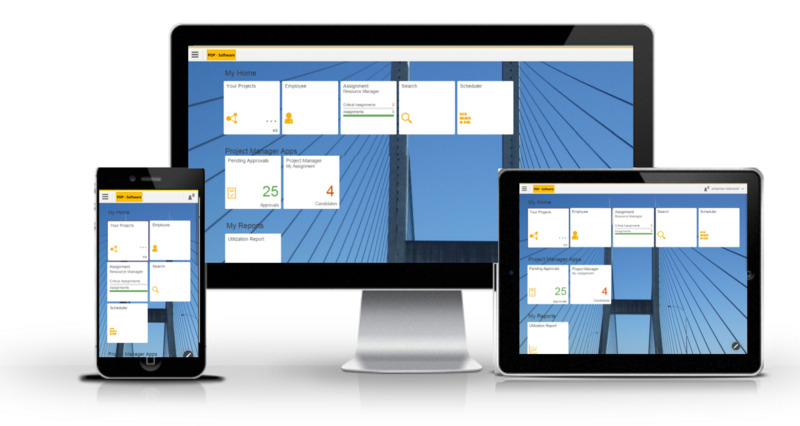 SAP® Project Management Systems, Successfactors®, SAP HANA ® Cloud Platform sind Marken der SAP SE. SAP® Project Management Systems, Successfactors®, SAP HANA ® Cloud Platform are registered trade marks of SAP SE.